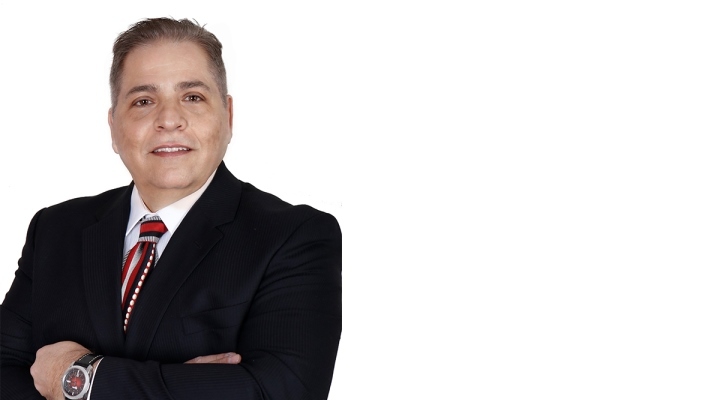 With over 30 years in the real estate industry, Peter Racco brings dedication and knowledge to his clients through his vast experience in the business. He understands when people are ready to sell or buy their home, it is most often one of the biggest and sometimes toughest decisions they will ever make in their lifetime. He believes in assisting and guiding his clients to make sure that they will make the best choice possible when deciding to make their move in the buying and/or selling process, to ensure that they are confident and happy with the results. Peter worked in the computer tech industry for a few years as a shift leader/supervisor for a large corporation before deciding to change careers. He felt that he needed more of a challenge and exciting environment working with people outside of his day to day work schedule, he wanted to be able to work independently with flexible hours. Researching through career choices he investigated real estate sales and registered for the course. Shortly after graduating from the real estate program in 1986 he went to work full time with AE LePage Real Estate in Burlington, ON which later would become known to this day as Royal LePage Real Estate Services. A short few years later Peter Racco had successfully completed his Real Estate Broker’s license, while still in sales. He later decided to join a smaller independent Real Estate Brokerage, where he developed the skills to assist and manage other sales representatives. Peter continually was striving to learn as much about the business, gaining more knowledge with new home sales and dealing with builders and developers. His journey brought him back with Royal LePage as a sales representative where he was also offered a position as a Branch Manager. Shortly after experiencing the managerial side of the business Peter decided to go back into sales as that is where Peter would be more effective and applying his skills to succeed. In his spare time, Peter enjoys spending time with his two children, his fiancée, and family. He also enjoys golfing, hockey and basketball with his family, friends, and clients. As a part of his routine and healthy lifestyle, Peter goes to the gym to re-energize, relieve stress and clear his mind. This keeps him motivated and ready to take on whatever the workday may bring. Peter regularly participates in volunteer work, including local grocery stores to raise money for charitable causes close to his heart. What inspired you to create your new “Peter Racco Homes” branding name under your current Real Estate Brokerage? Previously, I had a partnership with my former wife with a sales team called RaccoHomes. After my divorce a few years ago, I wanted to re-brand my name and business presence. This would give me the opportunity to offer a personal level of service and commitment to my new and past clients. I wanted to re-introduce myself making it easier for people to identify I am Peter Racco of RaccoHomes. When you drop a well-known household business name that you’ve built up for so many years, people may think that you’re no longer are in the business. Someone asked me about just rebranding without my personal name, but I didn’t want to do that. My name is very recognizable and strong in the real estate industry and everyone would know who I am. There’s a personal edge to it as well. With being in the business for over 30 years I have accumulated a large client base. Many of my client’s children have grown and are now at the stage of their lives to invest in buying their first home. Also, referrals from past clients, friends, and family has been much appreciated which has grown my business. I have managed to acquire a few real estate investments of my own that I have made over the years. This business keeps me motivated as it is all commission-based and we only get paid when there is a successful closing of the sale. How long did it take for Peter Racco Homes to become profitable? Almost immediately, I have continued and increased my sources of advertising such as outdoor billboards ads, city bus advertising, social media, printed newsletters and neighborhood flyers distributed by mail. When you were first starting out, was there a time that you doubted this would work for you? If so, how did you handle it? In those days, in the mid to late 1980’s, it seemed to be the best time to get into Real Estate it was a stable and steady market and every day was unpredictable but at the same time very exciting. Much different coming from a computer tech business with an environment of exactness, and shift scheduling with the same routine and very little social interaction required. In real estate I would meet all kinds of people, a more social atmosphere and housing conversations would always come up. It was a lot more fun and enjoyable. I started selling immediately and my business continued to grow as my name was becoming known in the community. I was off to a great start and kept going and I never looked back. After getting my license I got a phone call from an acquaintance from my old high school who wanted to sell his house. I was nervous because this was my first listing, but it ended up selling within a short time. My actual first buyer was looking to buy a piece of vacant land, not an existing home which was an interesting and learning process. What is one marketing strategy that you’re using besides referrals, that’s working well to generate new business? Referrals are your personal source; your sphere of influence is best. I find that most agents are doing traditional marketing such as sending out flyers and newsletters. I also do direct flyers and newsletters, but I also believe in expanding sources in advertising such as visual bus ads or large outdoor billboards. Technology has changed the way we do business today and has obviously become the way to go with global wide spread use of social media. I continue to update and enhance my website www.PeterRaccoHomes.com to inform new buyers and sellers with related industry information and listings of homes. The toughest decision that I recently had to make was to continue working on my own and offering continual support to my clients rather than dividing my duties amongst my sales team members. In the past, I had many sales assistants and 2 full time administrators to help with the volume of business. It was difficult to give much more attention to all the clients in a multiple sales team environment. What do you think makes you successful? I am approachable, honest, with good work ethics and willing to listen to my client’s needs and concerns. I am compassionate and empathetic when dealing with all types of people. Life lessons made me realize you need to be patient and humble and listen letting them know you’re working on their behalf and for their best interest. If I can help someone whether their selling their home or purchasing their dream home that makes them happy then I know I contributed to their success and happiness. A few years ago, I was in my office and got a call from a young man overseas from India. He told me that I had sold his parent’s house about 25 years ago when they were getting divorced. He was about 5 years old at the time, I remember talking with him and his little brother. I let them play with my brief case and gave them paper and pens to doodle while I was dealing with the selling of their parent’s townhouse. The boys ended up moving back to India with their mother and she told him to call me if he came back to Canada for work and to purchase a home. I was quite overwhelmed and honored that I had such a big impact on them and was remembered after all these years just from a simple act of kindness and building relations. What does the future hold for your business, and what are you most excited about? Call me a little old fashion, I still believe it’s very important to spend the proper amount of time required when they are making one of the most important and largest investment in their lifetime. I will still run my business building relations being able to identify and relate with my clients. It’s a fast-paced business but you need to build trust and confidence with each one of them. I’m excited about dealing with the next generations of millenniums, as my children are also part that group of people. Although they are more computer savvy, they still would need someone to trust and guide them when purchasing their homes offering good advice and knowledge. They can google search many things, but they can’t google the expertise I can provide them with through my over 30 years sales experience and am confident to close the deal. When I recently attended a Seminar with one of my networking associates, during a break-out session I came across a book called “Your Life, Your Terms”. It was written by two brothers Nick & Tom Karadza. It intrigued me to purchase it as it was about their life story on how their careers evolved and how now they are recognized as one of the largest mega real estate enterprises. Also, a second book called “I am Resilient” an inspiring true story by Jeffrey L.Croonen who was a player with the Canadian Football League and was determined. He was a very successful pharmaceutical sales representative with a great personality. He became an inspirational speaker and coach, he was full of wisdom that he gained from the worst kinds of experiences. But he always came back stronger and shared with others the lessons he’d learned from a life of bouncing back. What is a recent purchase you’ve made to help with your business? I continue to invest in my marketing strategies and more advancement with social media to reach out to all types of ethics and diverse communities. What keeps you going and moving forward? Truly believing in myself and having a passion for this industry. Being able to make a difference in someone else’s life when it comes to buying and selling their home. Giving them a sense of pride and ownership. Owning your home is a safe place to be giving a sense of peace, happiness, and security. Also, moving ahead is to never give up and continue knowing that I have more to look forward to. Always learn from the past and keep pursuing your dreams, but not to forget to enjoy the present moments.